In an age of mass surveillance, when advanced cyberwarfare weapons rapidly migrate into every hacker's toolkit, you can't rely on outdated security methods-especially if you're responsible for Internet-facing services. 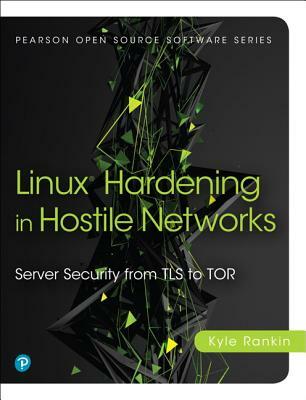 In Linux(R) Hardening in Hostile Networks, Kyle Rankin helps you to implement modern safeguards that provide maximum impact with minimum effort and to strip away old techniques that are no longer worth your time. Each chapter begins with techniques any sysadmin can use quickly to protect against entry-level hackers and presents intermediate and advanced techniques to safeguard against sophisticated and knowledgeable attackers, perhaps even state actors. Throughout, you learn what each technique does, how it works, what it does and doesn't protect against, and whether it would be useful in your environment.